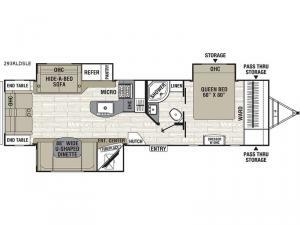 Just envision a chilly night at the campgrounds with a fireplace and an entertainment center to enjoy while relaxing on theater seats or the hide-a-bed sofa. You might also be playing cards with your camping friends. 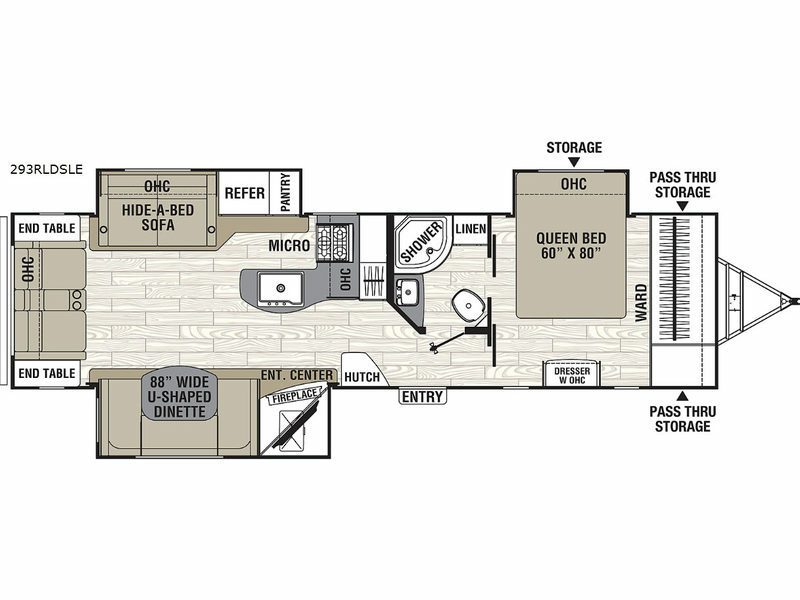 This roomy travel trailer includes triple slide outs providing plenty of floor space to entertain or to stay for longer periods of time at your favorite RV park. You will love having your own bedroom with a large wardrobe, a dresser and quick access to the bathroom especially at night. This could be the one!